We have 12 nice and clean air-conditioned rooms 6 rooms with balcony and 2 sea view rooms. Each is equipped with fully amenities. Enjoy your holiday in Phuket at Patong Beach with our friendly and cozy atmosphere. 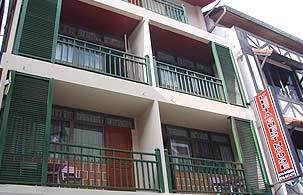 Keeta Guest House located on Patong beach, just only a few minutes walk to the beach and surrounded by the night life at Bangla Road.